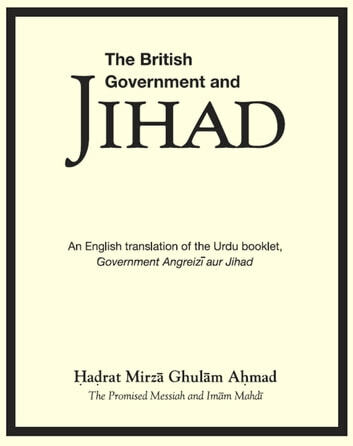 &apos;Government Angreizi aur Jihad&apos; is an Urdu booklet written in 1900 by Hadrat Mirza Ghulam Ahmad(as), the Promised Messiah and the Founder of the Ahmadiyyah Muslim Jama&apos;at. 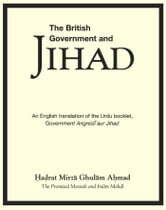 In this booklet, he refers to the Holy Qur&apos;an and the ahadith (sayings) of the Holy Prophet Muhammad(sa) in order to explain the true nature of the Islamic concept of jihad. This is the English rendering of this booklet.